There are many, many assignment writing sites out there and locusassignments ranks among the average in terms of quality, support, guarantees and privacy protection. The site has several grammatical errors, lowering the confidence in terms of quality. It’s also a bit long-winded and requires a lot of scrolling. One good thing on the site is its transparency. In addition to having easy to read and find policies and terms, the site does an in-depth job of clearly outlining everything it offers and what services it provides. Students should have all the information they need before they make an order. We were generally happy with the essay we ordered. The writers on the site are well educated and happy to follow directions in terms of research and creativity. The work is original and good enough for a passing grade for most courses. The site also offers work in a range of topics and areas of study. This site may be a good choice for students studying engineering, math, science or business. Basic topics aren’t as well covered and students with those needs should likely go elsewhere. One major drawback of this site is that it doesn’t offer a clear pricing structure. Instead of being able to browse the prices, a student must request a call back from a support member to get a quote for an assignment. This is frustrating and time consuming and may drive students to a different site. Like all other sites, the final price of an assignment depends on the urgency, the length and the academic level. Students can discuss all of these factors with the support team when they receive a call back. However, the prices do tend to be higher here than other sites due to the specialised services offered by the experts there. There doesn’t appear to be any discounts available on this site. Because students must wait for a call back from a member of the support team, this is something they can talk about at that time. There may be occasional discounts or promotions that students can take advantage of. The site may reach more customers if they offered a loyalty program or discounts for repeat customers. Many other sites do this and would allow Locusassignments to stay relevant and competitive with the other paper writing sites. This would attract students on a budget and give them an incentive to order from the site. While there are several drawbacks to this site, there are some perks that make it stand out. The site claims to offer tutors and dedicated research staff to provide services that some of the other sites don’t. This can be beneficial for advanced or complicated topics. 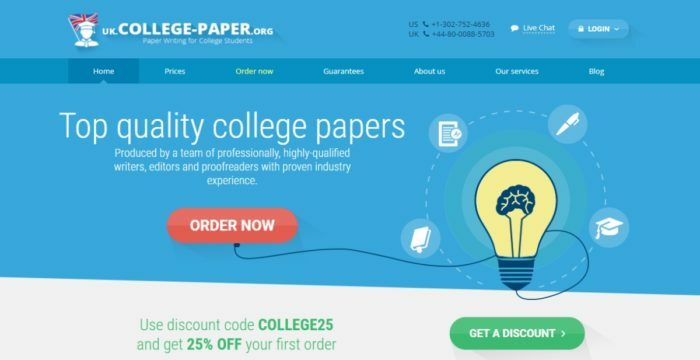 The site also offers several sample papers to show the style and type of work they do. This is helpful for students deciding on a service. Students also have the option of uploading assignments to the site for ease and convenience. Overall, the site is decent, but isn’t as comprehensive and easy to use as some others.